The colors of Fall… in some places anyway! Here’s a link I thought I’d share. 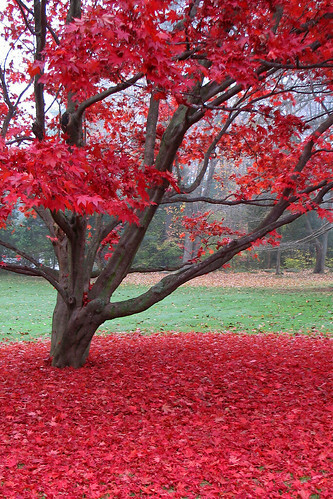 It’s a super cool slideshow about the colors of Fall and why leaves change to various colors! Too bad we don’t see much of this in Houston! After volunteering at HMNS since 1993, Allison joined HMNS full time in 2003. Her current job responsibilities include curating the education collections and keeping the summer camp classrooms stocked with materials, facilitating Education special events, and coordinating the Museum's overnight program. In her "spare time" she volunteers with the Junior League of Houston and spends her time in artistic pursuits. Previous Post GEMS 2010 - Share your knowledge!